But it’s spring in our house. 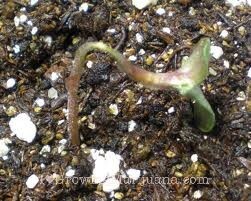 I ordered and received our seeds a few weeks ago and we were ready to get our seedlings started. Lili, hubby and I carefully planted tomato, tomatillo and pepper seeds in their little pots and under the lights they went. Last year was our first attempt at starting our own seedlings and it wasn’t very successful. About 1/2 of the seeds germinated and began growing, but then died. It think it was a combination of a lot of different things. – I made my own soil mixture, which I don’t think had the proper balance of nutrients. – We had them in the basement where the temperature is probably 10-15 degrees cooler. The soil temperature just didn’t get warm enough for many of them to germinate. – I think I also over-watered many of them, which isn’t a good thing and many that did germinate I lost to damping off. So this year changes were made and I’m trying some new techniques hoping for more success. – No homemade seedling mix this year. I bought the mix this year. – The seedling stand has been moved to the dining room. I had originally planned to keep it in the basement to protect them from kids and dogs, but had second thoughts. The dogs are blocked from the dining room and it will be a good learning experience for the girls as they are able to more carefully watch the process. 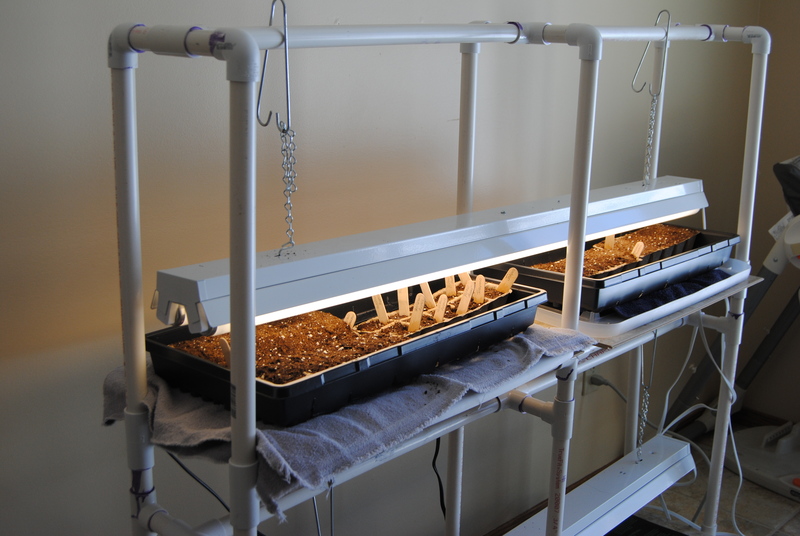 – I am using seedling heat mats, which I knew would be necessary in the basement. Since we keep our thermostat set low, I thought the heat mats would still come in handy. – I’m going to be more careful about watering and will keep a fan running to keep air circulating. Having everything on the main level of the house is much more convenient and I’m less likely to forget things like turning the lights off at night. There are many more things I would like to try growing this year, with only a handful needing to be started indoors. 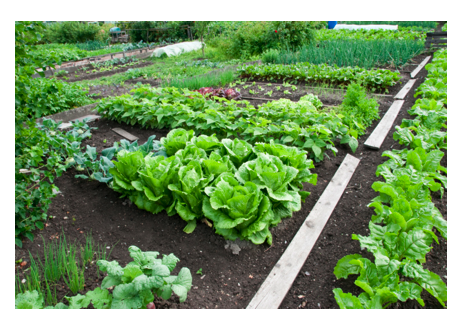 However, to grow it all would require that we expand our garden space and that just doesn’t make sense for us right now. Instead, I’ll stick with those things I know we must have in the garden and experiment with some vegetables I’ve never tried growing before. With lots of hope for a good harvest and a guarantee that I’ll be learning a lot along the way, I look forward to a new gardening season.